Actor Blair McDonough, and his wife Kristi, welcomed their first child on March 26 and have named their daughter Leni Rose [pictured]. Leni was born at Saint John’s Hospital in Santa Monica, California. Blair first gained fame in 2001 as runner-up on the first series of reality TV show, Big Brother. He went on to have a regular role on soap opera Neighbours, and later on Sea Patrol and Winners and Losers. He and Kristi married in Hawaii and relocated to the United States last year. 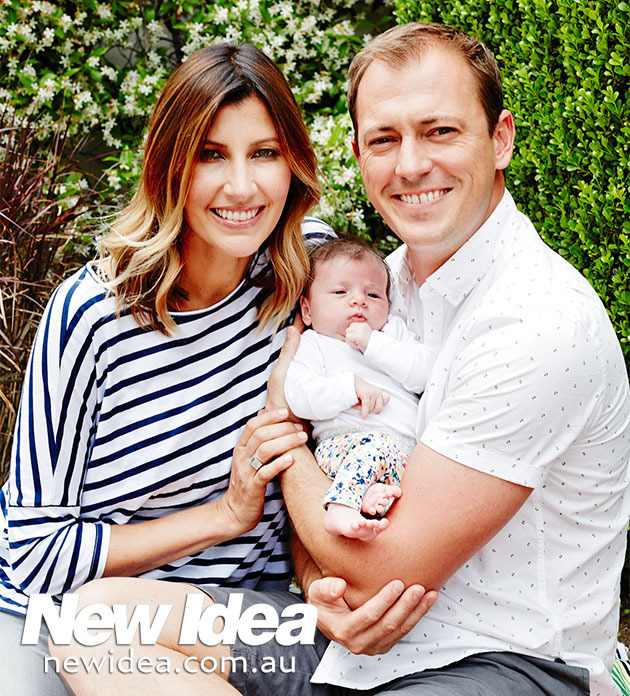 Nova radio host Tim Blackwell, and his wife Monique, welcomed their son Alfie Hawthorn on May 2, a brother for their daughter Bo, aged 2; Bo’s birth was featured on the blog. Tim joked that the birth of Princess Charlotte on the same day as Alfie meant that they couldn’t get an exclusive magazine deal. Hawthorn is a suburb of Melbourne, and an Australian rules football club, giving this flower name a sporty boyish vibe.